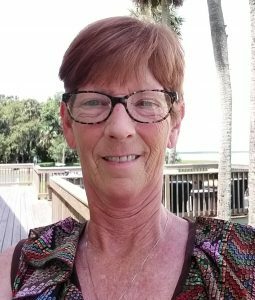 Originally from Birmingham, England, Rosemary has been living and working in Florida since 2000. She began her property management career in 2002 and was hired on with Blair Group back in 2011. 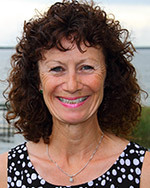 In Rosemary’s spare time, she trains about 15-20 hours per week for competitive triathlons. She loves the discipline and excitement of the competition, and has even ranked nationally in competitions over the last few years! We love living here and look forward to many years of enjoyment in this wonderful community that we have the privilege of calling home! 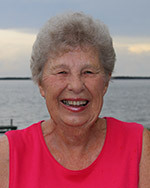 Having spent most of her life in Evansville, Wisc., Bev moved to Lake Griffin Harbor in 1990. When she first arrived, she worked full time so she and her husband, Norm, chose the community so they could enjoy relaxing along the lake after a hard day at work. They bought a boat immediately upon their arrival since Norm loves to fish … and he’s pretty good at it! Bev started working as a Housing Consultant for LGH in 2011 and has been an integral part of the team. She loves her job because of the people she meets. Bev is as enthusiastic about LGH as she was the day she and Norm bought their home here.